From the first Taste of Wine Studies research seminar convened by the University of Newcastle’s Wine Studies Research Network (WSRN) in 2013 through a second seminar in 2014, this annual meeting grew in 2015 to a day-long event titled A (Third) Taste of Wine Studies. 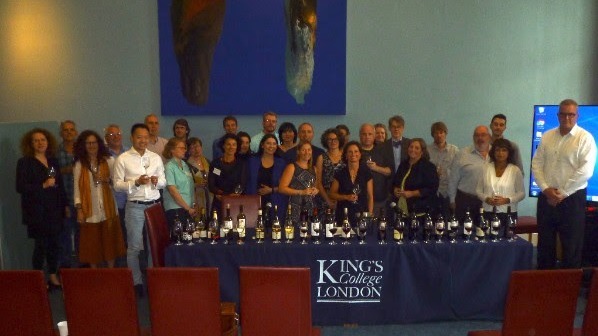 In 2016 the WSRN inaugurated an international wine studies meeting, in collaboration with the Menzies Centre for Australian Studies, King’s College London. The range of nations, institutions and research experience represented in this program indicates that wine studies is flourishing as a field that intersects with research on food and drinks, mobilities, migration, place, identity, business and trade over a vast temporal scale. A key purpose of the conference is not only to elucidate the specific threads of these entangled ‘worlds in a wine glass’, but also to refine our understanding of how such interdisciplinary inquiries are framed. The Convivium following the conference plenary on the question "if we have food studies, do we need wine studies? ".